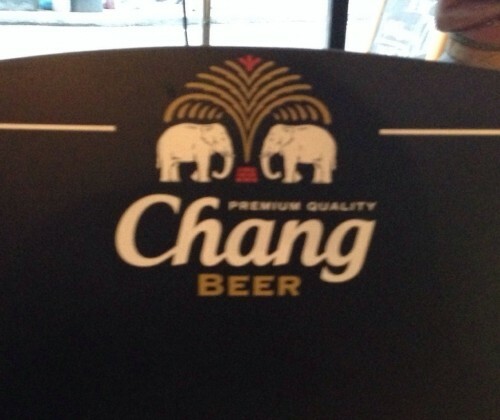 If you go to one of the Thai restaurants in Crystal Palace (we’ve got loads of them) you will find them picking up on Kev’s latest business venture, which is brewing a fine, light and refreshing beer with his name on it. Mr Chang’s is clearly a popular choice with customers here and we wish him the best of luck in this new endeavour. So THAT’S why he’s always too busy to post on here. It’s nowt to do with pulling up carpets and plastering toilets. It all makes sense! I think all the building work was to turn his house into a brewery. It makes sense now. The two elephants, of course, represent his journey from being a humble poodle groomer to an upstanding brewer, as in the famous ancient Fable of the Brewing Elephants. Come to think of it, the last time I was over there was a strange smell in the air, it was a lot warmer and everyone was wearing beer-brewing equipment. I’m surprised I didn’t put two with two and then another two on top together. I love the ancient Fable of the Brewing Elephants. He hides the brewing well. All the vats and pipework and everything is carefully concealed under the vast and well-buffed network of skirting boards and soffits that he spent most of this year installing. There’s a brewing well? Is that how the beer retains its crispness even during the warm summer months? You love the word ‘soffits’. I’ve noticed this with my… EYES. There is a brewing well. It’s where he gets his brewing water from. I think it’s under the stairs. So THAT’S what he’s put in that new room of his just off the dining room under the stairs. He keeps mentioning it but I’ve not been in it yet so I can’t confirm either way.